Most of this post originates from a talk I gave at Christ United Methodist Church on July 27, 2011. At Advent and Christmas we expect and remember the birth of Jesus. On Good Friday we recognize the death of Jesus. On Easter Sunday we celebrate the resurrection of Jesus. As you can see, our major Christian holidays do a pretty decent job at helping us focus on the major stages of Jesus’s earthly existence. However, Christians don’t worship a mere earthly Jesus. We worship an exalted Jesus, the one enthroned in the heavenly places. What we need, then, is a special day to spark our awareness that Jesus has gone from earth to heaven, and therefore the grounding of all Christian hope is that Jesus will return from heaven to earth. As it turns out, we already have such a day! At one time, Ascension Day was one of the most important times on the historic church calendar. In recent times, though, it has become one of the most ignored. Gone are the days of Augustine, for instance, for whom Ascension Day provided the opportunity to deliver brilliant sermons on the doctrine of the ascended Christ. 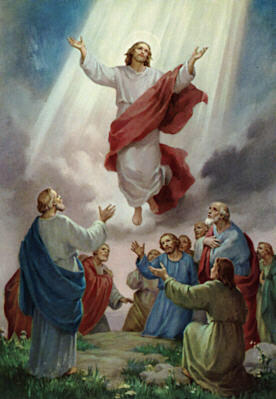 Today is Ascension Day, which is recognized 40 days after Easter Sunday. This time period comes from the timeline provided by Acts, which states that it was a 40 day period between Jesus’s resurrection and his ascension to heaven. The ascension of Christ is a uniquely Lukan presentation. A later version of the ending of Mark added by scribes contains an account, but if we define our authoritative canonical New Testament as that which we believe comes from the original authors, then studying the ascension becomes a matter of analyzing Luke’s literary composition. He led them out as far as Bethany, where he lifted his hands and blessed them. As he blessed them, he left them and was taken up to heaven. They worshipped him and returned to Jerusalem overwhelmed with joy. And they were continuously in the temple praising God (Luke 20:50-53). Now, at the very beginning of Acts. Luke begins by reviewing what he has written about in Luke and then recounts the ascension one more time. Theophilus, the first scroll I wrote concerned everything Jesus did and taught from the beginning, right up to the day when he was taken up into heaven. Before he was taken up, working in the power of the Holy Spirit, Jesus instructed the apostles he had chosen. After his suffering, he showed them that he was alive with many convincing proofs. He appeared to them over a period of forty days, speaking to them about God’s kingdom. 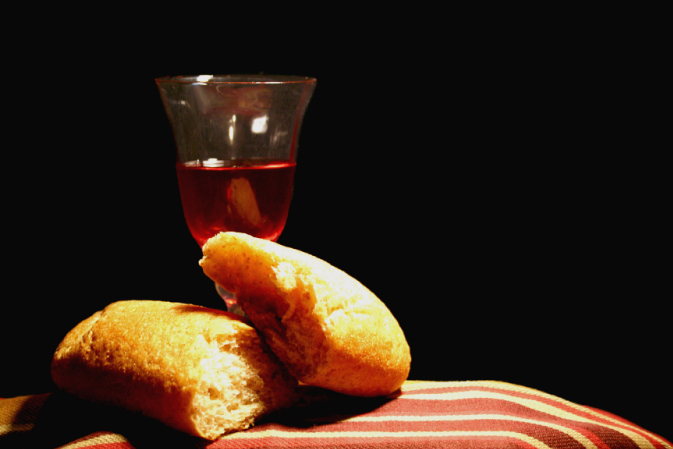 While they were eating together, he ordered them not to leave Jerusalem but to wait for what the Father had promised. He said, “This is what you heard from me: John baptized with water, but in only a few days you will be baptized with the Holy Spirit. Taking the same event, Luke renders it in historical prose differently two times―once to display its significance as the final event of Jesus’ life and ministry in his Gospel, and once more to show how it is the beginning of the disciples’ ministry in continuation of Jesus mission in Acts. Theologically, the ascension is a closure to some aspects of the person of Christ on earth, his work in salvation through his ministry, death and resurrection. But it also a beginning to some of those aspects as Christ is now heavenly transcendent and the work of his salvation is carried out by his disciples. With genius skill, Luke translates these theological truths into literary terms, in that the closing scene of volume 1 of his entire historical work becomes the opening scene of the second volume. And thus the New Testament’s sole historical account of Jesus and the early church, which spans from Christ’s birth to the message of his salvation being brought to the entire world, is knit together. First, the ascension as closing scene of the Gospel. The ascension is really the last logical step for Jesus, having died and been resurrected. It is a logical prerequisite for Jesus as someone who was believed to be returning at some later point. But Luke is the only Gospel writer to include the ascension in his story of Jesus’ life. Matthew and John especially presuppose that something like an ascension is going to take place. Just for a couple of examples. Matthew ends with Jesus’ Great Commission and his promise to be with the disciples always as they go out and spread the good news of salvation. Some sort of heavenly exit is presupposed, but is not narrated. More than any other, John’s Jesus emphasizes over and over how he has come from heaven and is going back. After his resurrection he tells Mary Magdalene, “Do not hold on to me for I have not yet ascended to the Father.” It is presupposed, but not narrated. Why Luke does narrate the ascension in his Gospel is probably due in part that it is the longest and most comprehensive Gospel, but it is due mostly to his second volume, which tells the story of the earliest church. The other Gospels may conclude without it narrated because it is blatantly obvious to the early church to whom they were read that Jesus is not around anymore like he was. But Luke actually tells the story of the early church, so it would be a blatant missing piece if the means by which Jesus was not around anymore in the way that he once was was left unnarrated. It is important to note, though, that Luke does not just narrate it, he puts it in the most pivotal place he can―at the connection point between his story of Jesus and his story of Jesus’s followers. This points rather clearly to its significance, and, it was typical for 2-volume Greco Roman works to recap the end of the first volume at the beginning of the second and, importantly as we’ll see, they were free to arrange materials differently in each case. As much as it functions as an effective conclusion to this narrative, the ascension scene here also sets the reader up for a sequel: Jesus’s last words to his disciples include the instruction to wait in Jerusalem for what the Father has promised. And the closing frame of the Gospel is just that―the disciples are waiting in Jerusalem. We, and presumably they, aren’t told just what they are waiting for. Now, we come to the ascension as opening scene. Whereas the Gospel account reads as if the ascension is the same day as the resurrection, in 1:3 Luke adds the detail that Jesus appeared to the disciples over 40 days convincing people he was alive. The wording here is significant, for it says not that Jesus lived in Jerusalem or anything like that―it says that he made appearances over a period of 40 days―the Greek indicating scattered events. This is a major clue to me that the ascension as narrated by Luke is not necessarily Jesus’s first transition to heaven, but his final transition to heaven. It’s important to mention here that there does appear to be some overlap with the concepts of resurrection/ascension/exaltation. There are many indications in Scripture that at his resurrection Christ was exalted, that is, enthroned in heaven. And, of course, being exalted to heaven is a lot like an ascension. The best way to view the ascension event in Luke-Acts, then, is as the final concrete picture of Jesus’s exaltation. At his resurrection Jesus immediately inhabited the realms of both heaven and earth, which explains his strange abilities to appear and disappear. And it would also explain why Luke says he made appearances over a period of 40 days instead of saying that he stayed with them for these 40 days. Having said that, what is this 40 days all about? It could be a reference to an actual 40 day period, (which would fit the chronology, because Pentecost is 50 days after Passover), or could be a conventional number (Jewish traditions about Ezra and Baruch have them giving 40 days of final words before ascending). But why is it not in the Gospel? Why does the ascension in the Gospel seemingly occur on the same day as the resurrection? Is this contradiction? I hardly think it could be contradiction, being such a unique detail coming from the same author. This is an example of how Luke has shaped the same historical event in different ways according to his literary objectives. He has condensed the ascension at the end of his Gospel to conclude it as a life of Jesus, and presented a fuller version for Jesus to appear to disciples as he gets ready to write a long book about disciples. So, this is one major difference between the accounts. Another difference is that we find out that what the Father has promised is (1:5, 8) the Holy Spirit. That is what delivers the power from on high. Having set the reader up for a sequel about receiving what was promised at the end of the Gospel, at the beginning of Acts he sets the reader up by naming who is really the key player throughout the entire book. There’s a reason why people have recommended a title change to “Acts of the Holy Spirit.” Acts 1:8, which gives us the actual words of what was only referred to as a “blessing” in the Gospel account then sets the theological and literary paradigm for the book, and it sets the paradigm for the rest of the history of the church in which we find ourselves. It is the ascension that marks the importance of Jesus’s final words to us. Here, therefore, we hit on the chief theological significance of the ascension. And this is not unique to Luke―it’s an important theme in John as well. Whereas the outpouring of the Holy Spirit at Pentecost in the next chapter is often given proper recognition in the church, it is often forgotten that is at Jesus’s physical absence and enthronement that he has the ability and authority to send the Holy Spirit. In this same way the ascension is now the basis by which the whole idea of the church as the body of Christ makes sense. It would be quite weird if Jesus’s body was physically present but yet we were still considered his body. Christ ascends so we can make up for his absence and things can go according to plan – not that Christ would single handedly take care of everything, but that he would work in and through his people. Christ’s body leaves earth, but comes to it in a much more special way―through those who follow in his footsteps enlivened by his Spirit. There is the important idea, then, of passing on the mantle to disciples in Jesus’ ascension. Another aspect to studying the ascension is to realize that it has many parallels within both the Greco Roman and Jewish worlds. For neither Greco Romans nor Jews was there much to be said for “going to heaven” at death. For the Greco Romans someone would typically go to heaven to become a god, and this is probably most relevant in the Imperial Cult during the NT era. For the Jews, even in the OT, going to heaven at death is not that prevalent a theme in their literature. In Jewish literature closer to the time around the NT, interest in going to heaven explodes, but it has to do with going there to receive visions, not somewhere to go after death. In the OT itself there is surprisingly small precedent for Jesus’s ascension. The only examples are possibly Enoch, and clearly Elijah. And among the parallels between Elijah’s ascension in 2 Kings 2 and Jesus’s as it is here in Acts is the fact that it as at the ascension of Elijah that his disciple Elisha is then able to follow in his footsteps. Having looked at both accounts of the ascension of Christ, I would like to flesh out some more theological significances of the ascension. Continuing in the whole idea of following in Jesus’s footsteps in his bodily absence, I want to put on the table how the ascension relates to Jesus’s return. There are several ways in which Jesus’s life is the paradigm for believers. Not only his devotion to God’s kingdom, his selflessness, his ethics, his teachings, etc. But also the fact that just as he died, there is a sense in which believers must die. Just as he was resurrected, we will be resurrected. A lot of the time the ascension has been treated in the same way―he went to heaven, so that tells us that we are going to go to heaven. Is this right? This universal restoration is the biblical vision of a new heaven and a new earth by the fusion of both, and Jesus does indeed belong right in the middle of this, for he is the means by which the new heaven and new earth come together. Through his ascension from earth to heaven, his return involves bringing heaven to earth. And what this means for us is not that we get to go to heaven but that we are resurrected into God’s newly restored earth where heaven is no longer separated. So, Christ died and so we die. Christ was resurrected, and so we will be resurrected. But only Christ ascends to heaven as an embodied person. Related to this is that the ascension is the greatest biblical illustration of the goodness of physicality. Christianity has long had to deal with the falsehood that the physical is bad. The Gospel account makes so clear Jesus’s physicality by having him show his wounds and eat fish. It is as this embodied human that Jesus goes to heaven, not as a disembodied soul. The entire human being is therefore granted heavenly status with Jesus as its representative. The goodness of the whole physical creation is affirmed and restored through the taking up of Jesus’ resurrected body into heaven and his return from there, and he brings all of the glory of God’s redemption with him. This is the hope of the gospel. It is this ascended Lord that we worship and look forward to, who is no longer is asleep in the boat when a storm is coming but is always and everywhere present, and who we encounter when we take the bread and wine as his body to remember his first coming and look forward to and in our living, serving, and working, anticipate his return. ← What if Christians were known for our belief in resurrection?